Flex-Hone® tools are the industry standard for surface finishing cylinder walls. BRM’s flagship product removes burrs and imparts a uniform series of oil-retaining grooves for optimum lubrication and reduced friction and wear. Flex-Hone® tools mount in handheld power tools for field repairs, and integrate easily with production machinery for automated deburring and surface finishing. They're available in a range of tool diameters, abrasive types, and grit sizes, too. NamPower nylon abrasive disc brushes provide maximum burr removal rates and a superior surface finish at the same time. These high-performance brushing tools come in two styles (dot and turbine) and are ideal for use with automated equipment. For hard-to-reach areas, smaller applications, and planetary head mountings, choose NamPower disc brushes in smaller diameters (50 mm, 50mm, and 80mm). NamPower diamond wheels are the tool of choice for edge radiusing parts made of hard materials like carbide, CBN, ceramic, diamond, hardened tool steels, and glass. Applications include reamers, end mills, drills, taps, gear hobs, and shapes. These wheel-shaped brushing tools feature sturdy composite hubs and long-lasting diamond abrasive filaments for polishing and producing edge radii. Small holes don’t have to mean big problems for manufacturers. 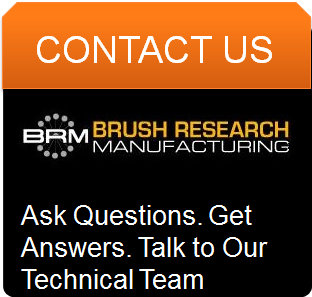 BRM’s miniature stainless steel brushes for cross-hole deburring are easy-to-use and corrosion-resistant. They won’t remove the base material or become clogged with particles and debris either. These small industrial brushes are also cost-effective because 12 of them come in each special brush kit. Find Your Solution. Request a Meeting. WESTEC comes just once every two years. If you’ll be in Los Angeles, California (USA) for this important event, visit BRM in Booth #2408. Get a BRM tradeshow bag, grab some literature, and talk to our Technical Team. As a full-line provider of surface finishing and deburring solutions, you’ll find technologies like Flex-Hone® tools, NamPower disc brushes, NamPower diamond wheels, and miniature brush kits. 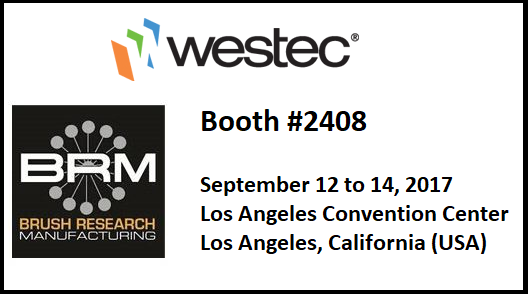 Can't make it to WESTEC 2017? You can still talk to our technical team. To get started, contact us.